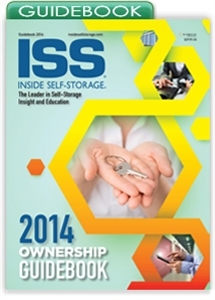 This Guidebook is designed to help single- and multi-facility self-storage owners maximize their investment. It covers profit enhancement, expense management, auditing, staffing, insurance and much more. Whether you’re in-the-trenches as a hands-on self-storage owner or more removed from the day-to-day operation of your business, you no doubt have a vested interest in the financial performance of your property. To maximize the revenue generated by your self-storage business, you must focus your efforts in several key areas including profit enhancement, expense management, auditing, staffing, insurance and others. To view other guidebooks in the 2014 series, click here.